Tallahassee, FL—Florida Democratic Party Chairman Stepen Bittel resigned after reports of ‘creepy’ behavior surfaced. Prior to Bittel’s resignation, just miles away from the Florida-Alabama state line, Republican Alabama State Senator Roy Moore, has been aggressively denying past multiple acts of sexual abuse allegations, as he seeks to be elected into the U.S. Senate, a position previously held by current Republican U.S. Attorney General Jeff Sessions. As Floridians prepare to elect its next state governor to replace their disgraced current Republican Governor Rick Scott, Florida’s state capital—the city of Tallahassee—has been ranked #1 in crime within the entire state for the third year in a row. In spite of their being seven separate law enforcement agencies patrolling the streets of Tallahassee, Tallahassee’s Mayor Andrew Gillum, a member of Florida’s Democratic Party, who also served as a former member of city commissioner of Tallahassee, just recently sought out to shift change in law enforcement agencies. Although Mayor Gillum, who is also a current gubernatorial candidate for governor, supported Stephen Bittlel’s resignation, will he be open to seek an investigation into previous reports of his Democratic colleague, Florida’s Second Judicial State Attorney Jack Campbell, having sexually assaulted one or more women? Jack Campbell, a Tallahassee native, spent over a decade working directly under Willie Meggs as an assistant state attorney inside of the Leon County Courthouse located in downtown Tallahassee. The Florida Bar quickly dismissed complaints that had been filed against Jack Campbell, who is the son of former Leon County Sheriff Larry Campbell. 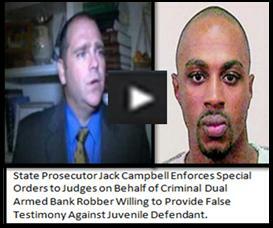 At least one source has reported that The Florida Bar and former Second Judicial State Attorney Willie Meggs, were aware of Jack Campbell suffering from many immoral behavioral issues, prior to his taking the bar examination. Could Jack Campbell be Tallahassee’s ‘Roy Moore’? If so, are Florida gubernatorial candidates going to put an end to Tallahassee’s Good Ol’ Boy Network by putting the safety of ALL FLORIDIANS First? Tallahassee, FL—For decades former Florida’s Second Judicial Circuit State Attorney Willie Meggs, and his daughter, Assistant Attorney General Patricia Meggs-Pate, former Florida Department of Law Enforcement Commissioner Gerald Bailey, former Leon County Sheriff Larry Campbell and his son, then Assistant State Attorney Jack Campbell, along with Georgia Cappleman, Eric Trombley, Second Judicial Circuit Judge James C. Hankinson, Former Second Judicial Circuit Judge Jackie Fulford, former Second Judicial Circuit Public Defender Lead Nancy Daniels, 1st District Office of Criminal Conflict and Regional Counsel—Daren Shippy, local Criminal Defense Attorney Greg Cummings, LCSO FAKE COP DON ODHAM, District Two Medical Examiner’s office, former Leon County Clerk of Courts Bob Inzer, Florida Bar Association, and many, many others were operating Florida’s Second Judicial Circuit under immoral and unethical and illegal strategies—DEFRAUDING GRAND JURORS AND WHEELING AND DEALING WITH CRIMINALS IN ORDER TO SCORE CONVICTIONS. The Sheriff Larry Campbell and Assistant State Attorney Jack Campbell worked together using their own strategy in order to guarantee Jack Campbell scored convictions, along with national recognition. Not only did the Campbell’s and Meggs’ use State of Florida tax payers’ money as their personal bank accounts; the Leon County Jail was used as their livingroom, and the Leon County Courthouse was their set—filled with clowns and prompts as they pretended to hold court trials—already knowing in advance that Assistant State Attorney Jack Campbell (Meggs’ office) were coming out with convictions—in many cases without any physical, material or circumstantial evidence. And through the use of LCSO FAKE COP DON ODHAM coupled with criminals looking for a deal, and scare tactics of innocent frightened local lawyers and citizens—including innocent college students. In less than a month of Mr. Williams’ booking into the Leon County Jail, after Mr. Williams agreed to “help” Assistant State Attorney Jack Campbell, Mr. Williams was released from the Leon County Jail, and was being financially supported by State Attorney Willie Meggs’ Office and Leon County Sheriff Larry Campbell’s Office. Assistant State Attorney Jack Campbell recruits—State Attorney Investigator Jason Newlin and Leon County Sheriff’s Deputy Ronald O’Brian did in fact committed mail fraud, smuggled contraband into the Leon County Jail and commit other atrocities—but were protected under the umbrellas of State Attorney Willie Meggs’ and Leon County Sheriff Larry Campbell. Clearly, Leon County Sheriff Larry Campbell was not going to discipline anyone assisting his son, nor was State Attorney Willie Meggs going to discipline his employees who were sent out to assistant his protégé, Jack Campbell. Within a week of Dawuan Williams’ release he had “helped” Assistant State Attorney Jack Campbell. While Mr. Williams was out of jail, he missed several court appearances—however, no arrest warrant was issued for him. Therefore, Leon County Sheriff Larry Campbell never summoned the U.S. Marshals Southeast Regional Fugitive Task Force because Mr. Williams was a team member of Assistant State Attorney Jack Campbell’s. Just a few months after Mr. Williams joined Assistant State Attorney Jack Campbell’s team Mr. Williams was back in the community terrorizing innocent victims. Mr. Williams was arrested in the neighboring county (Gadsden County) on charges of kidnapping, home invasion robbery, and other felony charges. This time, Mr. Williams was facing more than 50 years in prison. For Mr. Williams’ testimony against the defendant in Assistant State Attorney Jack Campbell’s double homicide case, Assistant State Attorney Jack Campbell, Circuit Judge Jackie Fulford, and Public Defender Lead Nancy Daniels schemed with local private defense attorney Alex Morris. Two and a half years after Mr. Rayborn was recruited onto Assistant State Attorney Jack Campbell’s team, and was granted many special provisions by Circuit Judge Dawn Caloca-Johnson, Mr. Rayborn was arrested by Tallahassee Police officers on charges of two counts of first degree murder—the execution style murders of 21-year-old Cornellius Poole and 22-year-old Lance Love—Mr. Rayborn is also charged with robbing the victims and then setting their apartment on fire. Governor Rick Scott, Attorney General Pam Bondi, and The Florida Association have chosen not to investigate criminal cases handled by former State Attorney Willie Meggs, current State Attorney Jack Campbell and many others. Until Tallahassee rids itself of Jack Campbell and all of those who enabled money laundering and wrongful convictions to play out in the Leon County Judicial System—Tallahassee Mayor Andrew Gillium can call in the National Guards to help combat crime in Tallahassee—and the small City of Tallahassee will still rate high in crime. There are nine different law enforcement agencies already patrolling Tallahassee. Newly elected Leon County Sheriff Walt McNeil (the first African-American to be sheriff in Leon County) does not need help from the Florida Highway Patrol ( FHP ) to combat crime. Tallahassee citizens need elected local representatives, elected state representatives and others to get off of their knees, and strengthen their backbones—Get Rid of Florida Second Judicial Circuit State Attorney Jack Campbell—and clean up All of Tallahassee—including All of Florida’s Second Judicial Circuit.